For the best bounce house rentals Glendale, AZ has to offer, look no further than 2 Dads Bounce Houses. 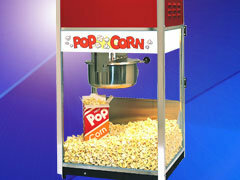 If you're looking to add some fun and excitement to your next party or event, we have you covered. We have the best selection in the area when if comes to fun inflatables including a wide array of water slides, obstacle courses, dunk tanks and even tables and chairs. From school field days, church picnics, corporate events or even backyard parties, 2 Dads is here to take the stress and worry out of planning your next event. You can conveniently book online or check availability by simply adding an item to your cart, selecting your date and then you can check out or continue to browse to add some more fun or delicious concession treats to your order. Feel free to call or email with any questions you have. Thanks for looking and we look forward to serving you in the very near future. Nothing makes a kids party more exciting than a bounce house. They provide hours of fun and exercise. Bounce houses are a great option for any event and we make it simple for you to set up and run all of our equipment at 2 Dad's Bounce Houses. 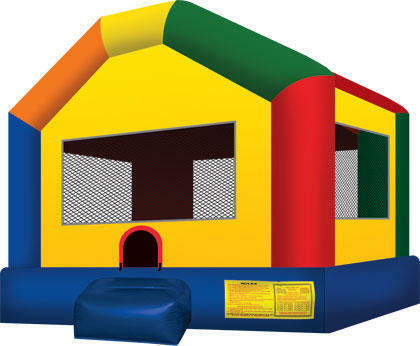 You set the event and we'll provide the fun with our large selection of themed bounce houses and bounce house combos. 2 Dad's knows how important it is for kids to enjoy themselves and for parents to have a safe and fun way to let their kids burn off all of that extra energy. This is why we only buy our equipment from the top inflatables manufacturers. 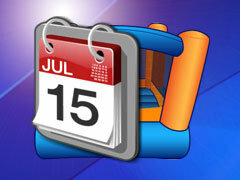 This means you'll get the cleanest and safest bounce house rentals Glendale AZ has to offer. Our team of highly trained professionals will deliver and set up your bounce house before your party gets started. We will walk you through all of the safety guidelines, help you choose the best spot for your inflatable, and will even help you choose a theme that matches your party. 2 Dad's stocks everything from a retro bounce house to bounce house combos. Bounce houses provide more than just fun for your kids. It's a great healthy way to get them exercising. With our bounce house combos, you get a number of ways for them to build their skills, reflexes, balance, and strengthen their muscles. A palace fit for princesses and princes! 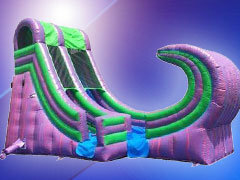 You have a bounce area, basketball hoop, and a dual lane slide that comes in a wet or dry version. 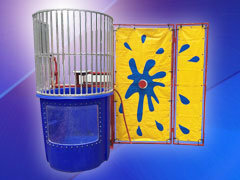 The perfect way to keep kids active and cool during those hot summer days. If you want to give the kids a real challenge, a 5 in 1 bounce house is your best bet. This is the ultimate in inflatable bounce houses. 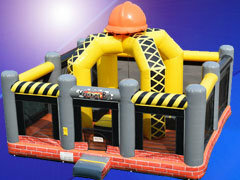 It provides kids with a large jump area, basketball hoop, and pop-up and log obstacles. It also has a climb feature and exit slide, which can be used wet or dry. 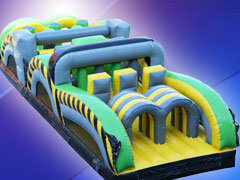 The choices are endless with our inflatables! The variety of bright colors will match any party theme. 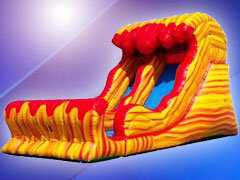 Our family-owned business takes great pride in the quality of inflatables and equipment that we provide. We thoroughly clean and disinfect all of our inflatables after and before each use, as well and keep them maintained with constant safety checks. We want you to be able to focus on your big day without worries. 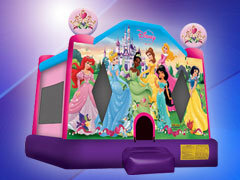 Parties are meant to be fun and that's exactly what 2 Dad's Bounce Houses delivers. 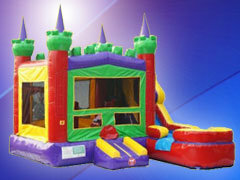 Our large selection of bounce house rentals in Glendale AZ means we can accommodate any budget or theme. We also offer party packages that will save you even more. 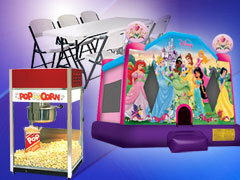 Our packages include a bounce house, slide, concession, and tables and chairs for your guests. 2 Dad's is fully licensed and insured. 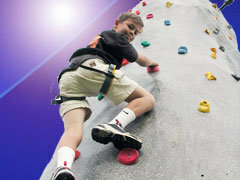 We are also certified by the industry leader in bounce house and inflatable safety, SIOTO. If you're looking for the best bounce house rentals Glendale AZ has to offer, look no further! 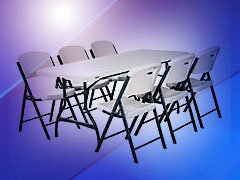 We'll help you plan your next event. So, give us a call or drop by! Click below for the best bounce house rentals Glendale, AZ has to offer!